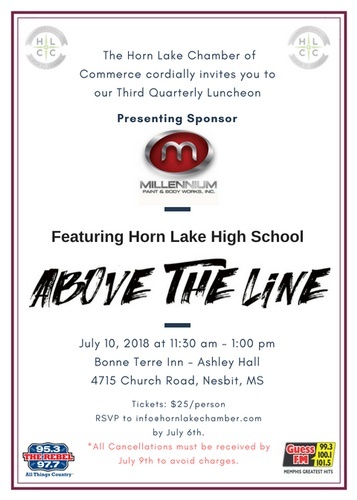 You are cordially invited to our Third Quarterly Luncheon sponsored by Millennium Paint & Body Works. Featuring a spotlight on Horn Lake High School Football team and their Above the Line program. Millennium Paint & Body Works, Inc.